Dhruv Blogfusion is created for Research Scholars, Professional's, Entrepreneurs, Art Lovers, Content writers, Idea sharing, Article submission and for every individual who wants to share something globally, it can be an experience or your story. 1. Ethical SEO:- also known as White hat SEO, is a technique of optimising your website or web page in the search results and following the rules & policies of the search engine. 2. 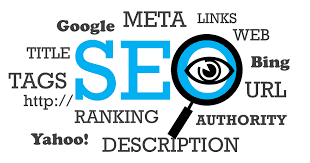 Unethical SEO:- also known as Blackhat SEO, in this one does not follow Google guidelines and focus mainly on ranking their keywords and using tactics that are usually banned by search engines. Blackhat SEO is illegal & usually practiced to rank better in short period of time. What I learned & Experienced during my MBA? Master Of Business Administration that’s what MBA stands for, such a heavy word. I took admission in MBA 2 year back (in 2015) and thought I would learn only Accounting, Human Resource, Finance and the huge list will go so on. The truth is that in my first semester my balance sheet never matched and so was with my Profit & loss account which we MBA call P&L account, which always showed losses and doesn't know what was wrong with Trial balances that I had to take so many trials that finally I would wait for the lecture to end. 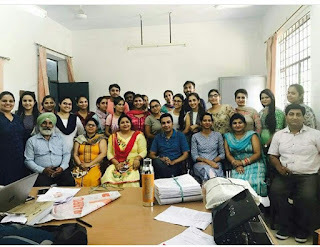 Yeah, there were few lectures which do teach us life experiences given by respected H.S Chahal sir. Yeah, we do enjoy your lecture.Somehow I passed the first semester with few friends... not much entertainment, life was just going to campus and then coming back home. Raina Technologies is a India based SEO - web design company, which specializes in making user-friendly websites with the help of Artificial Intelligence. We have experienced and dedicated team which works 24*7 to help you build your brand on local as well as your desired target segment. Creating a website for your business is very important if you want expansion and increase your demographic reach. 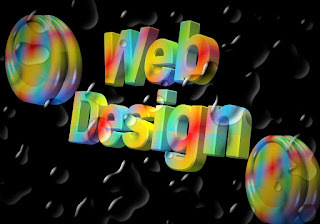 Our Web design company in Batalaoffers you best digital solutions at Affordable prices. If you have a business but don’t have a website, you are surely at a loss and losing a great opportunity for your business. A website helps you formulate a different marketing strategy that can help you grow your business. An online presence in this digital era is very important to accomplish your business goals. You own a restaurant, coaching institute or provide services all this requires a website to cover more market segments, make real-time strategies, gain expansion and better ROI in return.